Click on Comset onSite or Comset inStore images below to learn more about our two distinct support services. Please check awesome deals on cell phones and BoostMobile services. Welcome to Comset Computers, Chicago's premier computer repair specialists. For more than 20 years, Comset Computers has been fulfilling a wide scope of Chicago computer repair needs. Comset Computers handles deskstop and laptop computer repairs and upgrades. 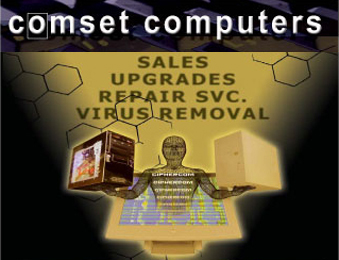 Comset Computers also offers sales of all new computer equipment. Routine maintenance, such as virus and malware removal is also our specialty. Please check the list of our used laptops and desktops for sale. Along with computer and laptop repair, we also handle business and enterprise computer services. Comset Computers can provide maintenance for servers as well as email and web site hosting, and network configuration. Contact us today for service, support, or to learn more about our Chicago computer repair services. 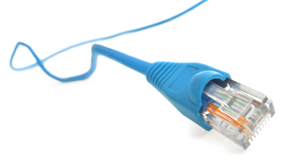 Small businesses come to us when they are no longer able to handle internet and networking problems in-house. 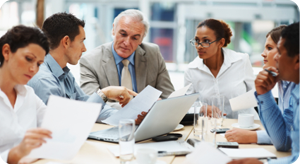 We are able to provide the outsourced support that allows small businesses to focus on what they do best. Our skilled technicians assess and fix the issues that are causing the network to slow down or fail. We also are able to evaluate your computer networks security and resolve any issue that may arise. Comset Computers will help you put into place safeguards to protect the integrity of the network from viruses and malware. By working with Comset Computers, our clients benefit from peace of mind by knowing that their technology is going to work. In today's business environment, if there is something wrong with the computers, the office does not work. Computer problems are an all too common occurrence these days. Whether it is as simple as slow down when loading programs or something as complex as a boot-up errors, it can be tough to get things working again. The skilled Chicago computer repair technicians at Comset Computers have the experience and knowledge to help you with your nagging issues. We will clean off spyware and remove the tricky viruses that may be slowing down your computer. We can also resolve the complex issues that may require replacing or upgrading the computer's hardware. Comset Computers can repair desktop and laptops computers at your home, or in one of our two locations. Whatever your computer repair needs may be; Comset Computers is there to help you get your technology back on track. Call us today for a house call from a professional computer technician. Comset Computers offers a wide range of computer and Internet services. Today's small business owners have enough on their plates. By taking advantage of Comset Computers' wide range of technology services, you are able to do what you do best. We can design and host a website or provide email hosting. We also provide disaster recovery services, such as offsite backup and data recovery. Our customers take advantage of our remote maintenance and support services so they don't have to bring their computers to our store. Comset Computers installs state-of-the-art DVR surveillance security systems for both business and home applications.